I think I’ve made it pretty clear that for better or worse, I am primarily on the sidelines when it comes to the new gTLD domain names. I would rather pay more for good names in a year or two (or longer) than buy new domain names now because I can determine whether they have enough investment value for my company at a later date. At this point, I have no idea whether it will be feasible for a domain investor to make money from the new domain names, so I am not buying many. To me, the most interesting aspect of the new gTLD domain names is the marketing that registries and registrars are doing to sell their domain names. My background is direct marketing (my education and career), and I find these marketing efforts to be interesting. It is my opinion that in order for the new gTLD domain names to have investment value for domain investors, there need to be companies who use these domain names for their websites. In order for this to happen, end users need to know what the new domain extensions are and why they should choose them over existing TLDs. These end users also need to be convinced that their domain names will be recognized and trusted by their clients and prospective customers. Educating these end user buyers will require significant marketing efforts. This leads me to the question: who is responsible for new gTLD marketing? On one hand, the domain registrars have direct contact with the prospective end user buyers, and they are responsible for suggesting specific new gTLD domain names to potential buyers. On the other hand, the domain registries operate individual gTLD extensions, and to a large extent, each TLD is its own brand that needs to be marketed to prospective buyers and end users. I want to share a non-domain investing related resource that I think you will find valuable. 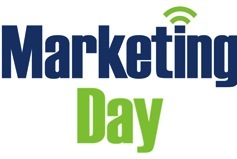 Each day, MarketingLand.com shares a daily recap called “Marketing Day,” which contains links to popular articles from within its website and from a variety of other websites. This resource is a must read for me every afternoon, and I recommend that you add it to your list of reading materials. The top section of the Marketing Day article contains links and the introduction to articles that appeared on the Marketing Land website during the day. These articles are followed by links to articles posted on other websites that cover a variety of topics, including domain investing (under the “Domaining” heading). DomainInvesting.com articles have been listed under the Domaining heading many times, and I always appreciate it when they link to my blog. In what may be deemed a risky move by changing domain names after already having been established, IAC has announced that its ServiceMagic brand will now be known as HomeAdvisor. The company did not discuss why the name change was deemed necessary in the press release announcing the news. ServiceMagic acquired the HomeAdvisor.com domain name from Microsoft in September or October of 2011 according to the Whois history tool. The Denver Post reported that the domain name cost the company “well under six figures” although the exact figure was not reported. Luckily for the company (and smartly), they were able to secure the matching Facebook, Twitter, and YouTube urls, which have already been utilized by the company. My gut tells me the company derrives a considerable amount of traffic from Google and Bing, and a change of url can impact search rankings, at least in the short term. Over the past couple of years, there’s an amazing home I’ve watched being built in Palm Beach, and I’ve always wondered about who owns it and lives there. The home sits across the street from Donald Trump’s Mar-a-Lago estate, and it’s on the Intracoastal waterway. It’s unbelievably beautiful, although it’s difficult to see the entire home through its gates and high hedges. I decided to Google the address (1220 South Ocean Blvd) to see if I could find out more information about the home. Lo and behold, the home was mentioned in Business Week in its article about the Most Expensive New Homes for 2010. The house is currently for sale for $84,000,000 and it’s being marketed by the Corcoran Group. The #1 listing on Google for a search of the address is 1220southocean.com. The Whois database lists a David Creps as the owner, and according to a LinkedIn page, Mr. Creps works for the Corcoran Group. Using the home address as the domain name for the marketing website is a very smart move. Many homes here have names like Casa del Sud or Sans Souci, and it’s probably easier to remember an address when you’re passing than to search for the name of a home, which may not be as visible as the address.